The Hunger Games meets Matched in this high-concept thriller where citizens must prove their worth by defeating the other version of themselves—their twin. West Grayer is ready. 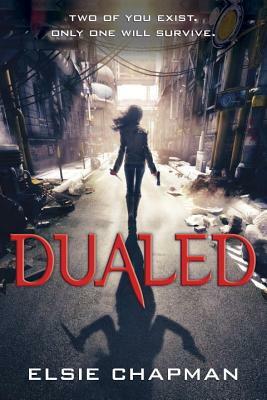 She's trained for years to confront her Alternate, a twin raised by another family. Survival means a good job, marriage—life. But then a tragic misstep leaves West questioning: Is she the best version of herself, the version worthy of a future? If she is to have any chance of winning, she must stop running not only from herself, but also from love . . . though both have the power to destroy her. Fast-paced and unpredictable, Elsie Chapman's suspenseful YA debut weaves unexpected romance into a chilling, unforgettable world. "This is one debut novel that will have readers hooked from the first line...It is a logical next-read for Hunger Games fans with potential for authentic class discussions on survival of the fittest, and making tough choices in a true 'kill or be killed' world."